Mr. Jefferson's River, The Rivanna. By Minnie Lee McGehee and Dr. William E. Trout III., 112 pages Paperback. "A little river hiding itself among the hills," as Thomas Jefferson saw it from Monticello, the Rivanna flows along the base of Jefferson's "little mountain" on its way from the Blue Ridge to the James. What it may lack in length, volume, or majesty, the Rivanna makes up in its historic relationship to Jefferson, its vital role in the development of central Virginia, and its growing importance as nature's lifeline through one of North America's most beautiful regions. 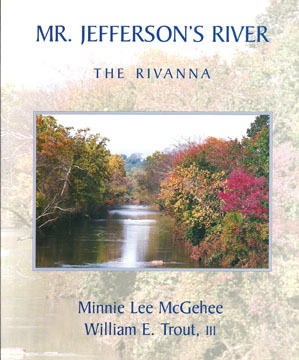 Mr. Jefferson's River, an authoritative history, tells the Rivanna's story from the earliest colonial commerce in dugout canoes, to the unique Virginia invention of the watercraft called "batteaux"-and the building of locks and dams-to the height of canal-building. 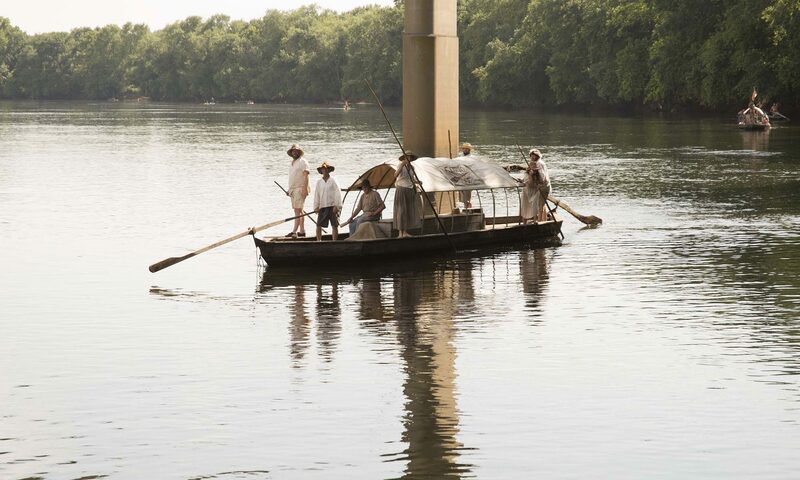 The book relates the events it describes to fascinating ruins that can still be found along the Rivanna today, as told by authors who have walked and canoed the river's every mile. Part history and part survey, the book includes more than 100 full-color photographs. For the Virginian or the visitor who wishes to explore the first of the commonwealth's Scenic Rivers, and the first river to be named an American Treasure, Mr. Jefferson's River offers a truly comprehensive account.